18 USD/kg. - from 60 kg. Hastelloy Wire is an excellent resistant to the reducing agents such as hydrogen chloride gas, sulfuric acid, acetic and phosphoric acid.. It offers high resistance to the non oxidizing acids and organic acids as well as chloride ion stress corrosion cracking. 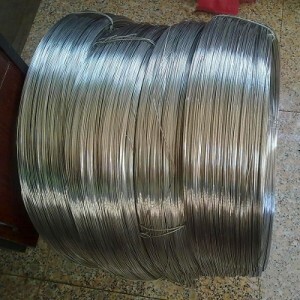 Heanjia Super Metals manufactures highly versatile and economical straight moving Hastelloy Wire. The Hastelloy Wire can be friction driven to achieve the required properties, such as strength, high temperature resistance and corrosion resistance for particular tracking.